The news recently reported that Jones Ward PLC, which currently represents dozens of victims of Bayer’s Mirena IUD who developed pseudotumor cerebri (PTC), has sought consolidation of these cases in a multi-district litigation (MDL). With 9 cases already filed on behalf of women who have developed this debilitating disease, also known as idiopathic intracranial hypertension or benign intracranial hypertension, Jones Ward is leading the legal community in standing up for the rights of Mirena users nationwide. Where are these cases filed? So far, Jones Ward has filed cases in Kentucky, Alabama, Tennessee, Virginia, and Georgia. However, the MDL consolidation of these cases will mean that they are transferred to a single United States District Court. Consolidation is great for plaintiffs, who are able to share the costs of litigation with others. In addition, consolidation is great for the courts because it minimizes duplicative processes. Jones Ward and our clients believe that consolidation of these cases will also streamline discover and allow for consistent rulings across cases that share common legal and factual issues. Pseudotumor cerebri is a neurological condition characterized by too much cerebral spinal fluid (CSF). When CSF pressures become elevated, it causes severe headaches, debilitating nausea, and swollen optic nerves. If left untreated, PTC can cause blindness. When optic nerves swell, they can eventually die– so that a person’s blind spot becomes progressively bigger. The final result has been described as permanent “tunnel vision”. PTC is a diagnosis of exclusion. The literal meaning of “pseudotumor cerebri” is a false tumor of the head. When a woman presents to her healthcare provider with headache, nausea, and ringing of the ears, it is often diagnosed after a visual exam shows swollen optic nerves. From there, her provider usually will order an MRI to ensure that she does not have a brain tumor. Finally, her doctor must perform a spinal tap to rule out meningitis. Spinal taps are extremely painful and come with a host of other potential complications. The condition is chronic, meaning that once it develops a woman must be treated and monitored for the rest of her life. Most women end up taking a drug called Diamox, a diuretic. If the medication does not sufficiently reduce CSF pressure, then they may have to undergo therapeutic spinal taps to remove the fluid. Finally, some women require more invasive surgical interventions, such as shunts to siphon off the excess CSF or optic nerve sheath fenestration, where a surgeon cuts tiny holes into the optic nerve. How is Mirena linked to PTC? 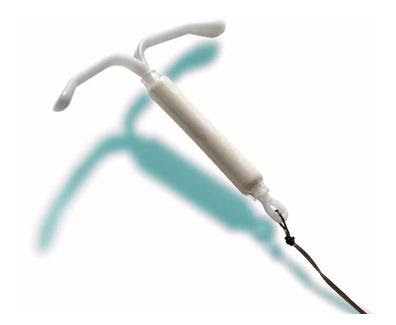 Mirena is a plastic IUD infused with a birth control hormone called levonorgestrel. Levonorgestrel has been linked to pseudotumor cerebri for years. The correlation between levonorgestrel implants and PTC was first discovered with Norplant. Norplant was a plastic stick that could be inserted into the arm to release hormones for years. Despite the known connection between levonorgestrel releasing implants and PTC, there is no warning about the risk on Mirena’s label. As a result, women and their doctors had no notice that Mirena could increase the risk that a woman develop PTC. Jones Ward PLC is the leading firm to handle Mirena pseudotumor cases. Our attorneys are committed to fighting for just compensation for women who have been hurt by their Mirena IUD. If you or your loved one developed PTC while on Mirena, we would be happy to speak with you about your rights. Please contact attorney Lauren Horner at lauren@jonesward.com, or call her at (502) 882-6000 for more information.